If theres something that you will not regret shelling out your hard-earned money for, its only Sumanths composed performance. 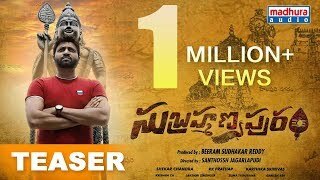 Subrahmanyapuram is predictable thriller and is exact copy of Karthikeya. 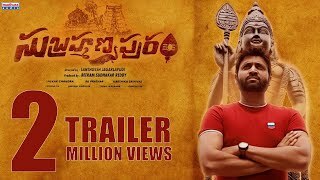 Subrahmanyapuram is a mediocre attempt which could have been much better. అంచనాలు లేకుండా థియేటర్ కి వెళ్తే పర్వాలేదనిపూస్తుంది. Plus points of Subramanyapuram movie are the presence of Sumanth, Santhossh Jagarlapudis direction, cinematography and the music. Subramaniapuram fails to take off. Subrahmanyapuram is one of those films where the excitement on paper fails to translate on big screen.